Today I’m recommending one of my favorite books of 2016. I really loved this book and I’m currently reading it sequel and I’m loving it just as much. Everything about this book was perfect to me. The writing was so amazing. I read Alex’s other book, The Darkest Minds, last year so I had a pretty good idea of her writing style but I felt like Passenger was a million times better than The Darkest Minds. I thought the main characters, Etta and Nicholas, were so well written and beautiful. I absolutely fell in love with Nicholas. He such an amazing character and I thought him and Etta made such a great team. I’m so insanely excited to see the growth and development of these two in the next book. I loved the concept of Passenger. 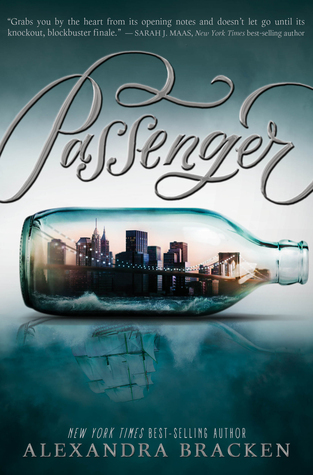 I don’t read a lot of books with time travel but Passenger is easily the best time travel book I’ve read.